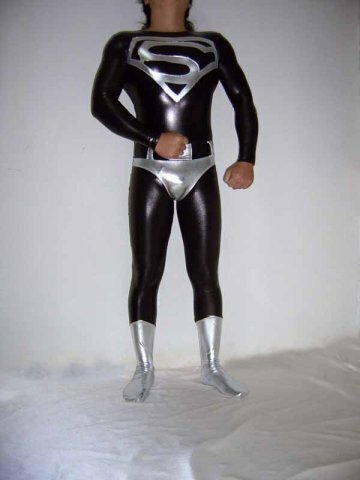 We got our Superman suit from you. It was carefully tailor made to our specifications. We asked for no shoes and for the top and trousers to be separated. This was done perfectly, as you can see in the photo, the guy is really pleased with the Superman suit. We will definitely be ordering others from you very soon. We ordered a Spider-Man, that also was great.